Riverside county is vast, made up of 7206 square miles of land. This stretches from the border of Orange County in the west to the Arizona border in the east. San Bernadino County abuts to the north, Both San Diego and Imperial counties to the south. The only “Uh Uh, Not going There” deviation from a straight line being that around the Salton Sea in Imperial Valley. Riverside county is also the 4th largest county in California by population, behind LA, Orange, and San Diego counties. It’s also 11th most populous in the nation. Riverside county is also the 4th largest California county in size behind San Bernadino, Inyo, and Kern Counties. In other words, it’s big. It’s also hot in summer, and there are a surprisingly lot of things to do, despite popular opinion. Okay, so for the most part you have to travel out of Riverside County to go to the beach, at the ocean anyway. Travelling from the San Jacinto Valley, where we are based, it’s about an hour and a half trip to Carlsbad, or San Clemente. From Blythe, at the AZ border, you’re talking about 3 hours and 45 minutes on average each way to Carlsbad. It could be worse, There are people in the Phoenix area who drive out to to our beaches, and that’s way further. 3 hours and 45 minutes is do-able, but maybe not all the time. 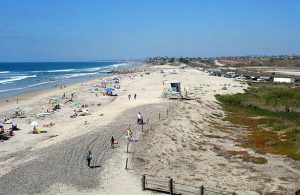 However, from Temecula, it’s a 45 minute drive to Carlsbad, an hour and 15 minutes to San Clemente. The downside? While California beaches have cool water, they also tend to have a fair amount of kelp, jellyfish, and the occasional sharks. And the water is kind of ugly, but hey, it will cool you off! 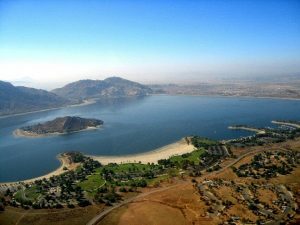 Lake Perris also has beaches, so you don’t have to travel to the coast, and salt water, to swim and cool off! There’s Bernasconi Beach. 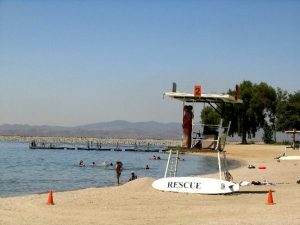 The water park at Lake Perris Beach. There’s Moreno Beach, all this on top of Lake Perris itself! 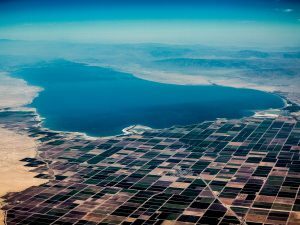 The Salton Sea, in Imperial County, was once a thriving resort location. Now it is more like a high crime nightmarish scene from The Walking Dead nowadays, is an option. A poor option. Going the opposite direction, there is the Colorado River at the California – Arizona border, It also extends up into Nevada as well. If you’re looking to escape the summer heat, well, I have some bad news for you. If you’re not in the water, you’re broiling, because The River is just a couple degrees cooler than hell itself, but a ton of fun! Rent some Seadoos and have a blast! 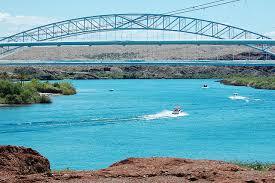 Lake Havasu is also a great destination to consider! Form what amounts to a desert, we certainly do have mountains! Here is a list of them if you don’t believe me, but my main focus is the San Jacinto Mountains, on which sits Idyllwild. 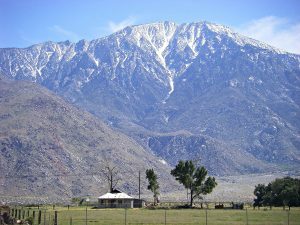 The San Jacinto Mountains peak is at 10,834 feet, high enough to cool you down. It can be accessed just outside of Palm Springs, via the Aerial Tramway. I have not been up the tramway, but I recently watched Huell Howser on an old episode of California’s Gold going up it, the view, amazing! Definitely on my bucket list. 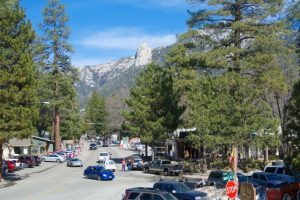 Idyllwild is also in the San Jacinto Mountains. You can get there from the Banning side, Hemet side, or even the Palm Desert side of the mountains. My recommendation is to go during the week and stay clear during the weekend. I’m fairly sure the merchants in Idyllwild feel differently though. you see, Idyllwild is not a ski resort like Big Bear Mountain is in San Bernadino. There are no ski slopes, and there is no real lake. Idyllwild is more artsy, more laid back and chill.It’s nice place to get away from it all, to spend some quiet nights, eat some good food, see some fantastic art, and meet really super folks. any time of year. Next to Idyllwild is Mountain Center. Think bonanza, the TV show, and you can pretty much see Mountain Center in the mind’s eye. Lake Hemet is also up here. I know they used to have great sandwiches in their little general store there, but I have not been to Lake Hemet in a while. You can camp, fish, that sort of stuff. 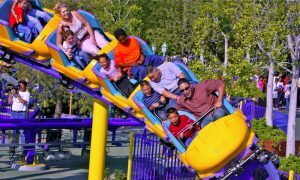 A buddy of mine works at Castle Park, a 25 acre amusement park off of the 91 freeway in Riverside. Castle Park has a water park, rides, miniature golf, and an arcade. Never a dull moment any time! Website here. 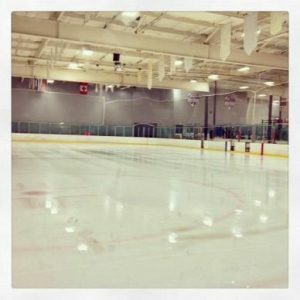 Ice Skating – In Riverside County? Yep, right here in the desert. One would think that this would be counter-intuitive, use being in the desert and all, but whattyaknow, there are ice skating rinks in Riverside County! Check out Ice Town, at 10540 Magnolia Ave, Ste A, Riverside, CA 92505. What else is there to do in Riverside County? Oh, wow, as I read this over and think of all the endless possibilities, I realize that I have barely scratched the surface on this topic. There are so many things to do that I could go on all day for a week at a time. Movie theaters, interesting museums, other water parks, bowling centers, and on and on. Maybe I’ll add to this list later, or write an expanded article. In short, if you can’t find something great to do in Riverside county, or thereabouts, then maybe, and I mean this politely, but maybe, just maybe, you’re a fuddy duddy. 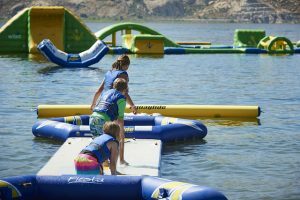 ice town, idyllwild, lake perris, riverside county, summer fun, the river. Bookmark.